Wedding bands are forever, so when it comes to finding the perfect pair, aesthetic is everything. 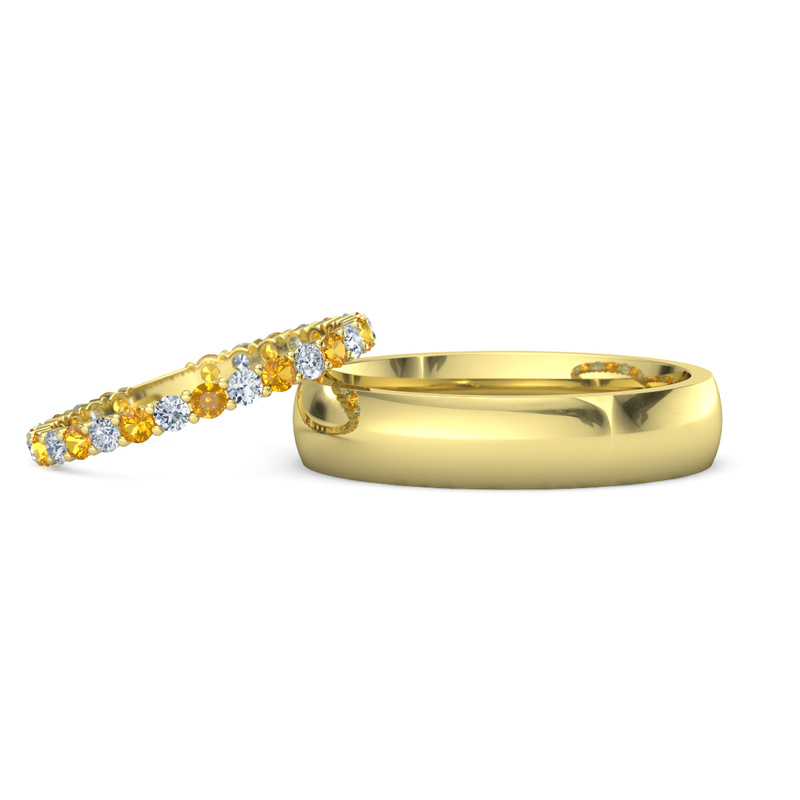 From vintage-style to classic, we offer a vast collection of matching wedding bands to customize. These stone-studded wedding bands lay flat against the finger for a comfortable fit with delicate luster. 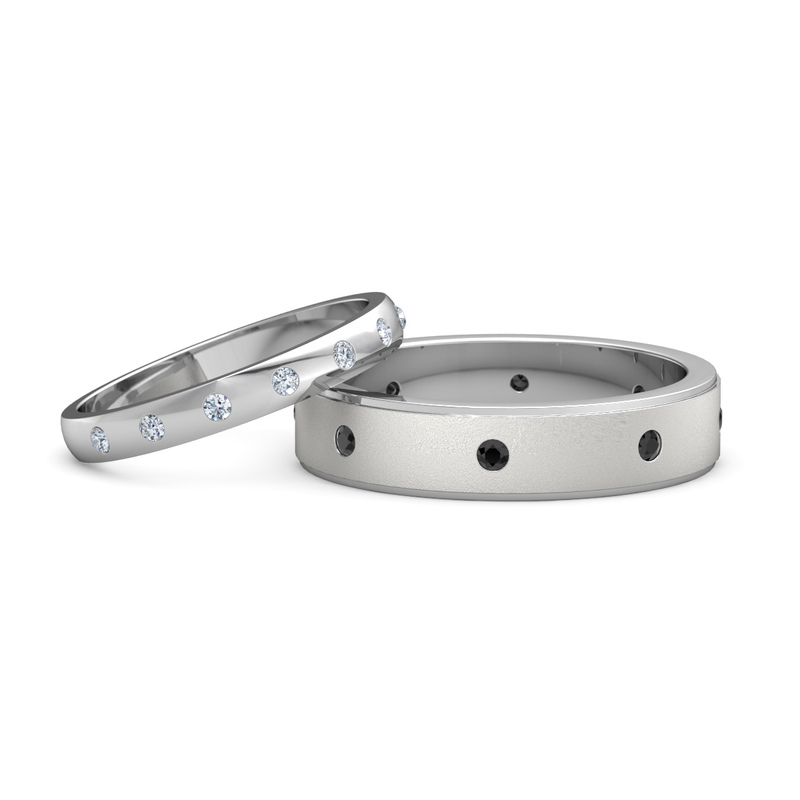 You can't go wrong with a gem-studded wedding band for her and a solid metal wedding band for him. 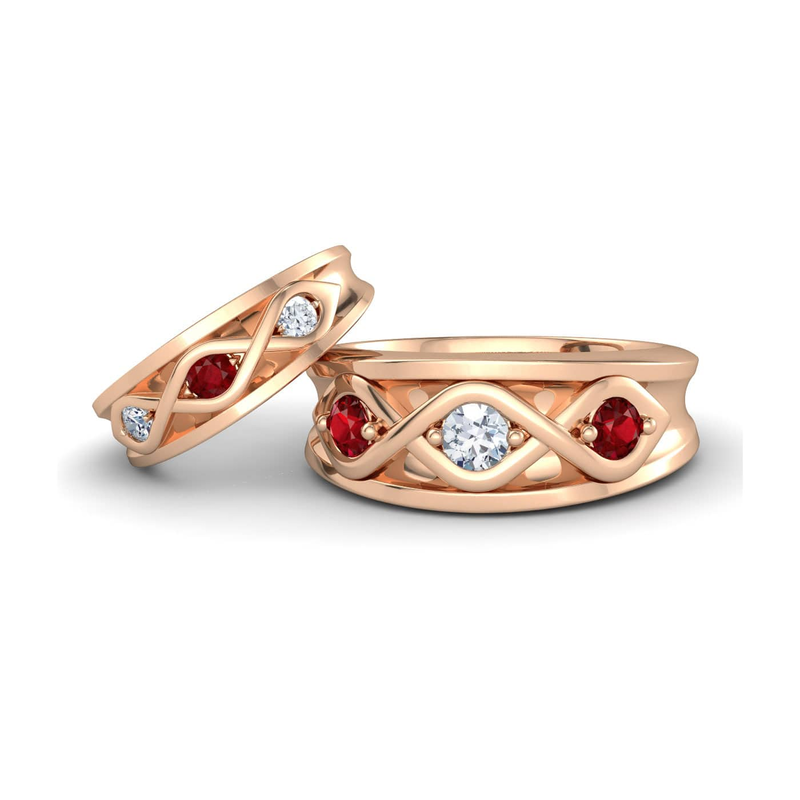 Circular, sparkling gems decorate these complementary wedding bands. These wedding bands make a forever statement, from the delicate spirals of her band to the structural weight of his. 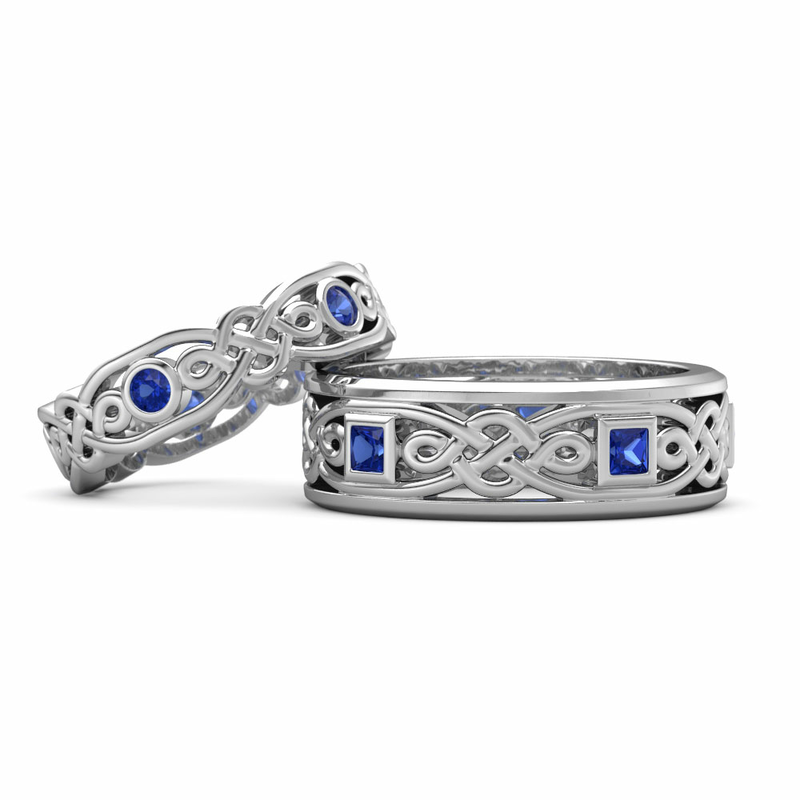 With a Celtic motif representing no end, these matching wedding bands are markers of forever love. Appreciate a contemporary aesthetic? 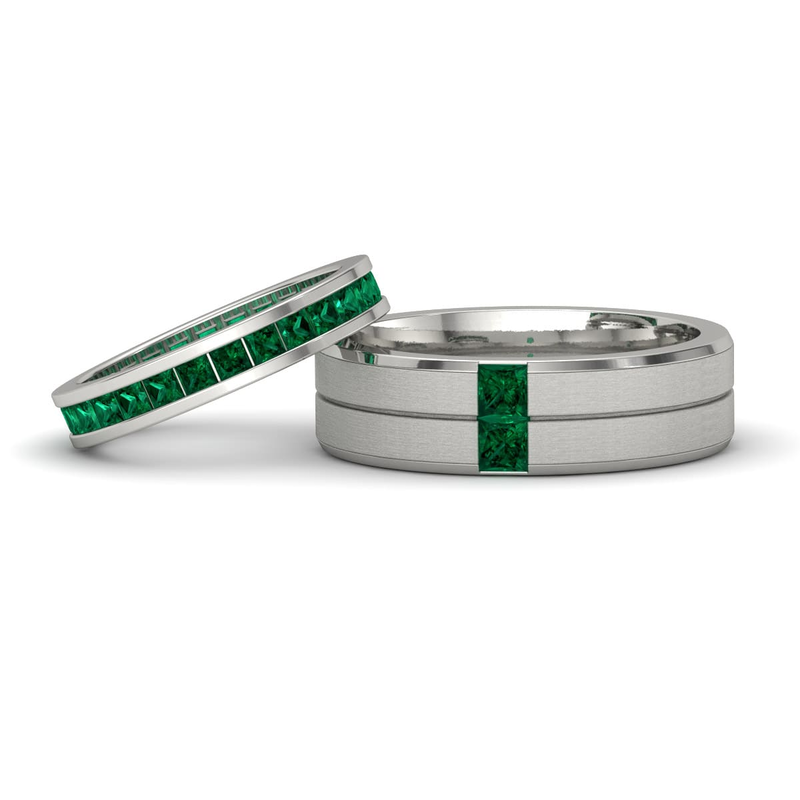 These matching wedding bands feature sleek lines and vivid gems. The moment you became one? 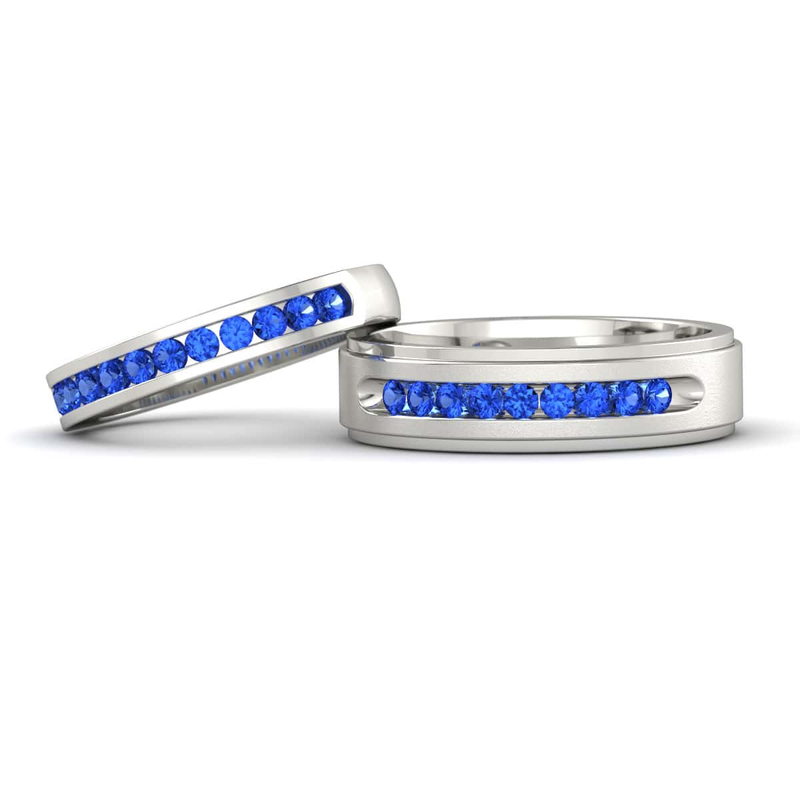 These matching wedding bands represent just that. 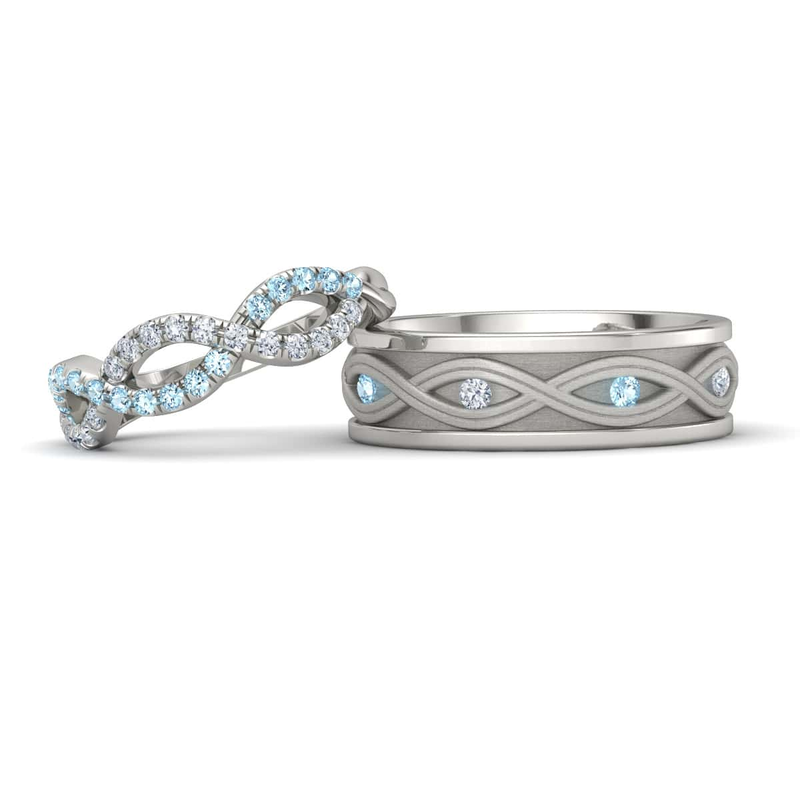 With three gems connected by an infinity loop, these wedding bands make an avowal of commitment. Forever. Evermore. Always. 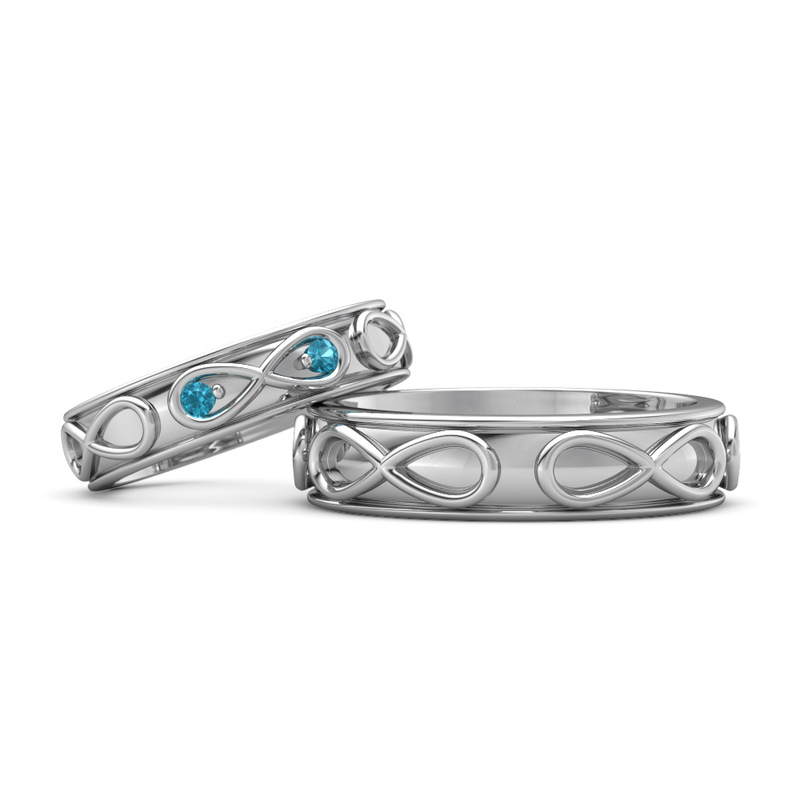 Infinity symbols adorn the entire circumference of these matching wedding bands. 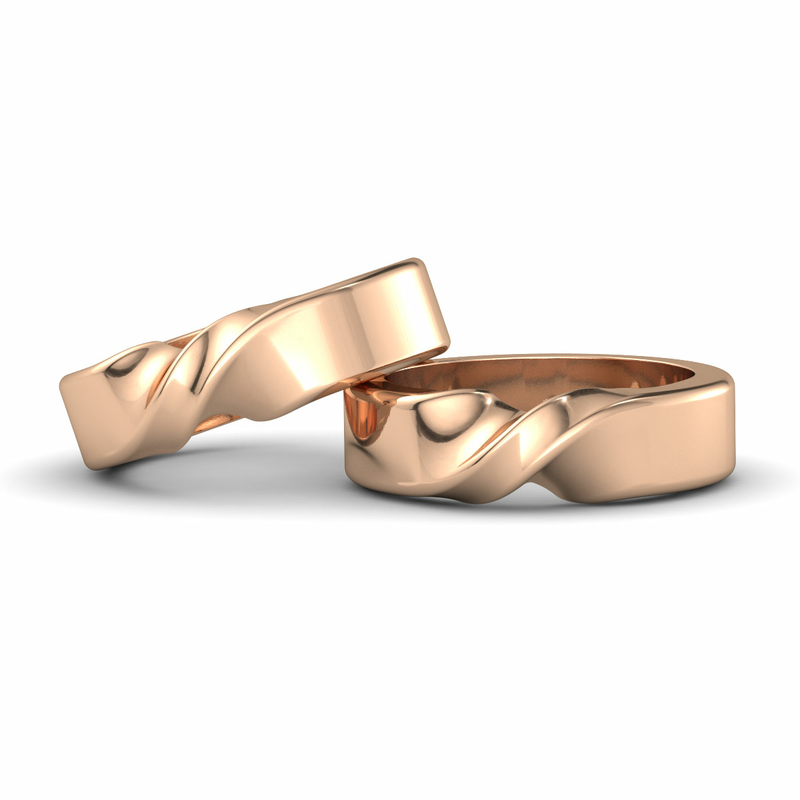 Thanks to their Mobius twists, these matching wedding bands standout from the crowd. 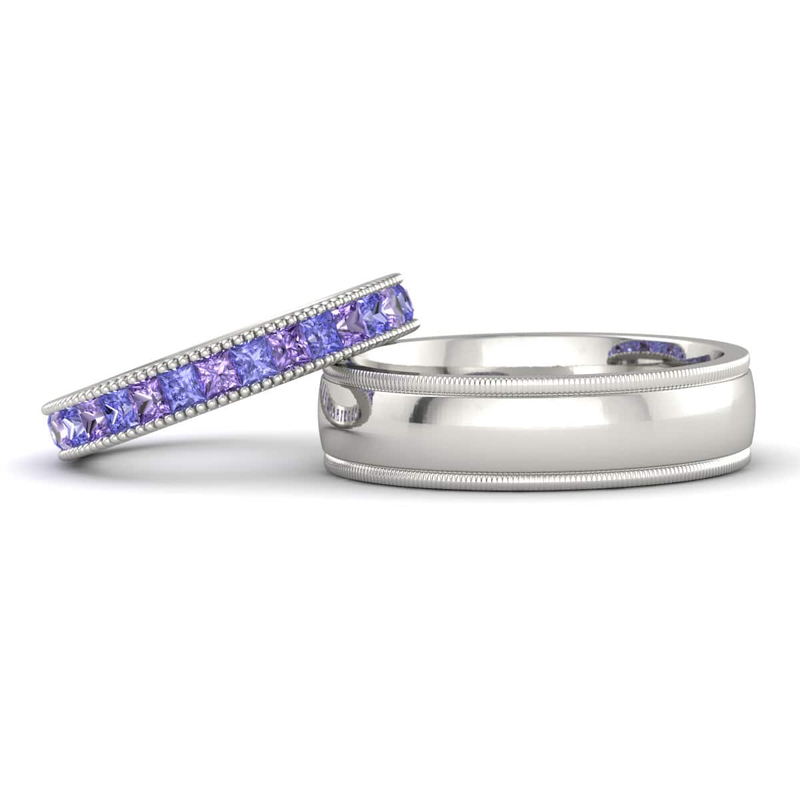 These modern wedding bands are best fashioned with striking gems tinted in hues most meaningful to you. 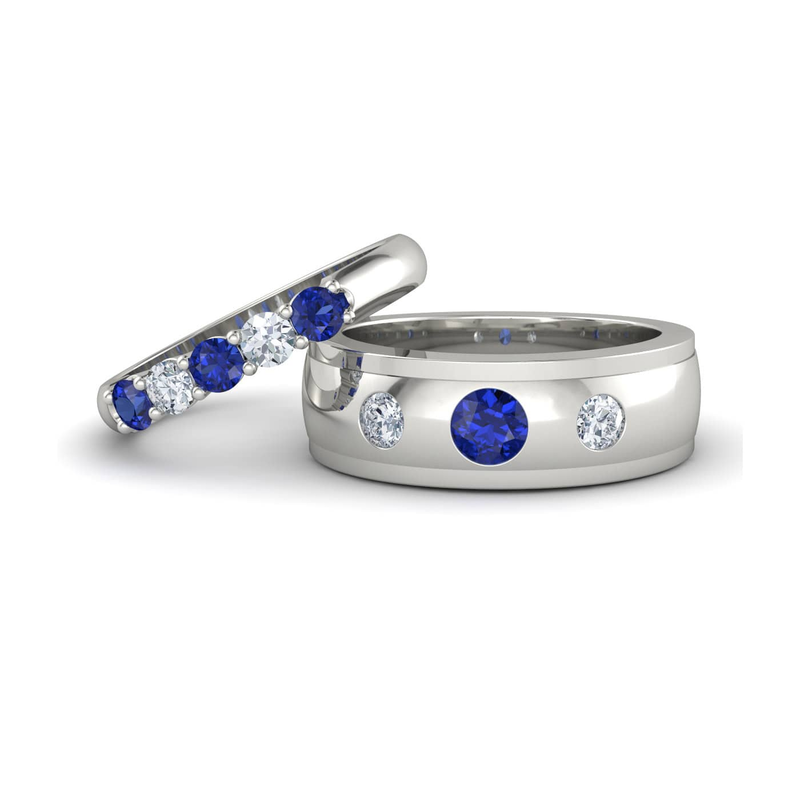 The minimalism of these matching wedding bands let your gems of choice take center stage. 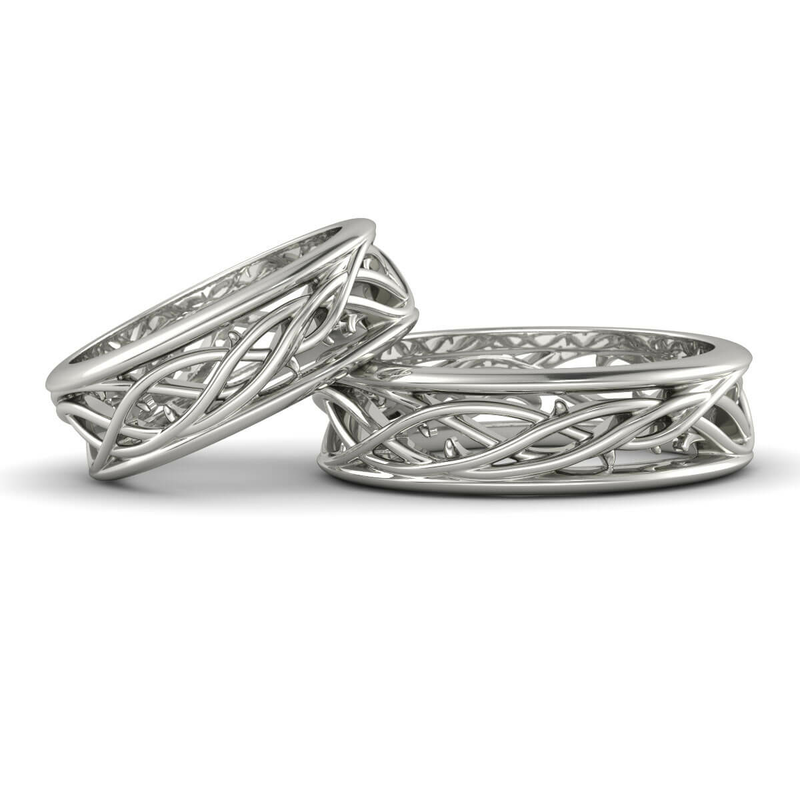 Like vines that grow together, these matching wedding bands are an elegant expression of unity. Standout sparkle for her and subtle shine for him? 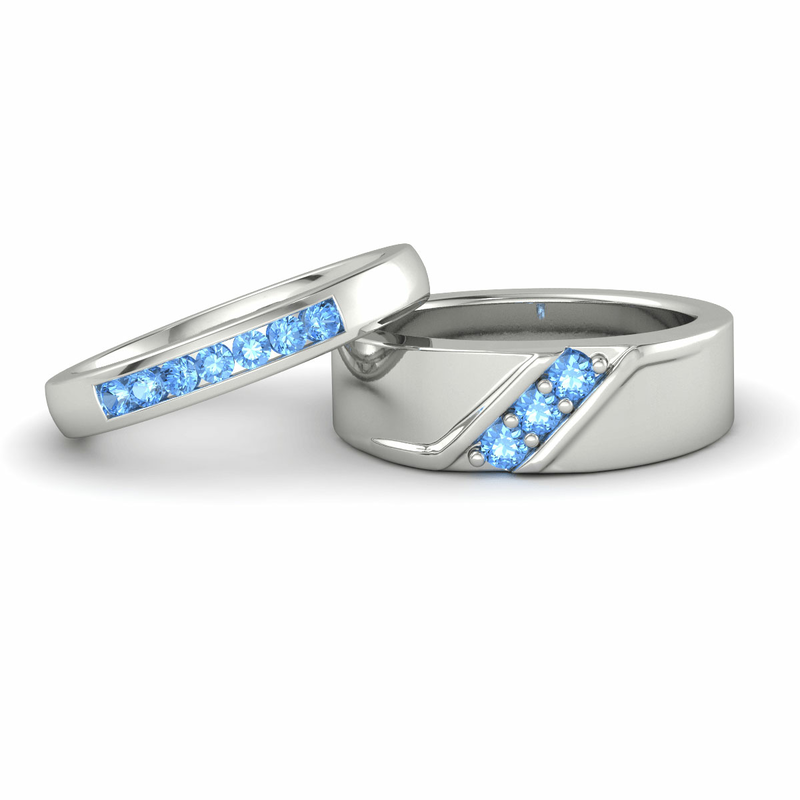 There’s no doubt these wedding bands are made for each other. 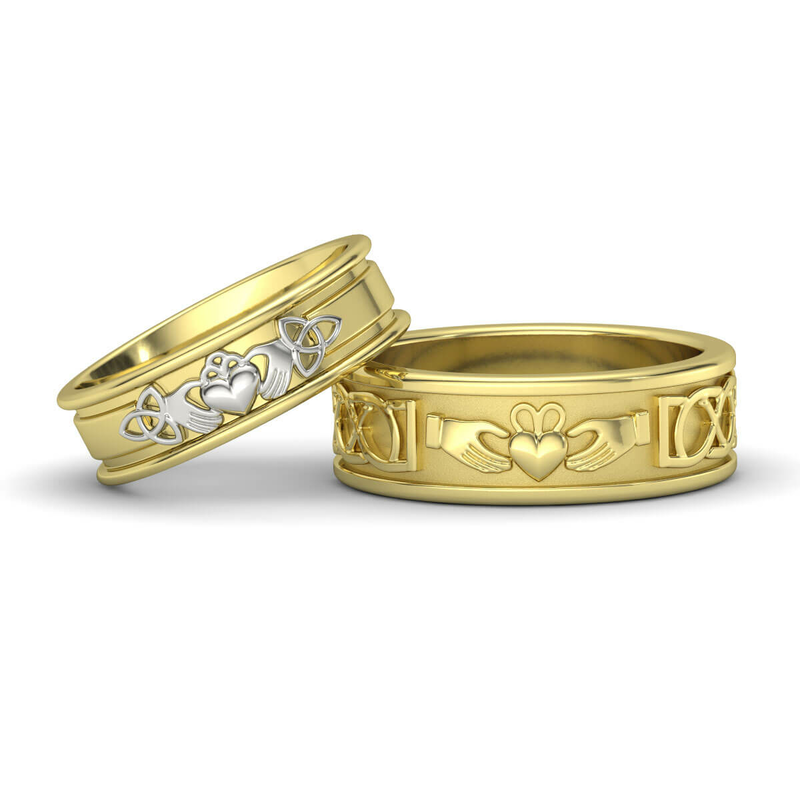 These Claddagh designs, symbolic of love and loyalty, are a heartfelt choice for matching wedding bands.